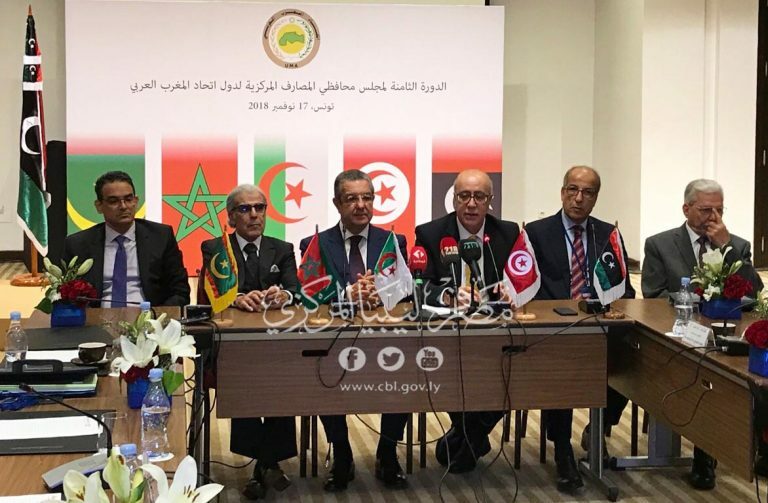 The eighth session of the council of Governors of the Central Bank of the Arab Maghreb Union was held on Saturday 17th of November 2018 in Tunisia during the presence of Mr.Saddek Omar Elkaber, Governor of the Central Bank of Libya, Governors of the Central Banks of Tunisia, Algeria, Morocco, and Mauritania, besides the secretary of the Arab Union. 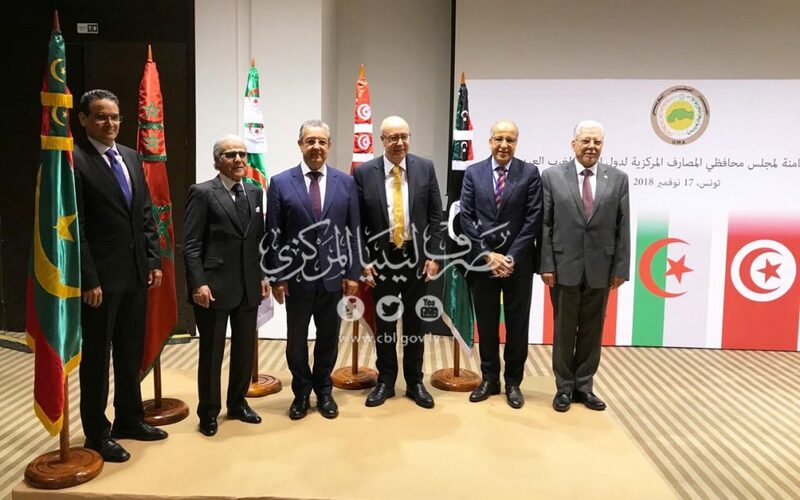 All effective ways of cooperation between the Central Banks of the Arab Union were shared during the meeting and activated, as it was also agreed that the Central Bank of Tunisia will be responsible for the duties of the general secretariat of the council. 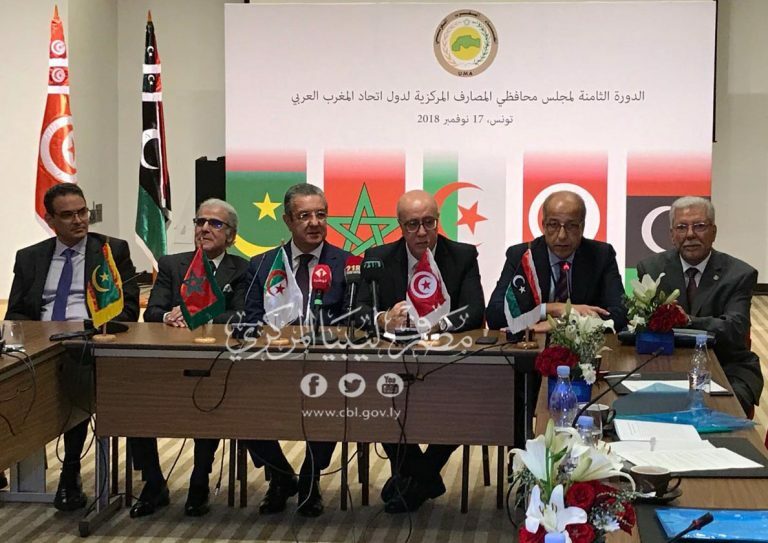 The meeting ended up with a list of recommendations as priority was form technical committees responsible for exchanging experience and standardize policies of the modern financial Techniques, Encrypted Currency, Financial Inclusion, Islamic Banking, Combating Money Laundering and Financing of Terrorism.